At Pinnacle Custom Signs, it is our personal goal to be our customer’s first choice for all their signage needs by focusing on delivering outstanding customer service and high quality products. That’s just what we do. No gimmicks – just great products and great customer service. In this section, you can learn more about our people, our culture and our experience. We are confident you will find Pinnacle Custom Signs is the best choice for any signage needs your business might have. Theresa has accumulated over 20 years in client relations and project management experience. She has always been responsible for making sure her clients are provided the best product possible. Throughout her career, Theresa has refined her talent of listening to her client’s desires, determining exactly what they need and then finding a way to successfully deliver that need to them. Theresa is also skilled in customer operations and business analysis. She has served in numerous leadership and management positions within the technology field, which proved very beneficial since she is now using the sign industry’s most cutting-edge technologies. Over the last 30 years, Don has spent his career handling multiple organizations and ensuring client satisfaction. He believes a great company relies on a quality product to generate business – not aggressive sales tactics. Before establishing Pinnacle Custom Signs, he served in several executive positions focused on sales, marketing and customer operations. From his leadership roles, he has also gained extensive experience in project management, financial planning, and leading edge technology. His history of successful leadership, along with his business savvy has poised him for success in his new business venture. Watch a video of Don talking with Jack Werner of Signworld about our decision to open Pinnacle Custom Signs. The Sales & Design team are our customers’ first point of contact here at Pinnacle Custom Signs. They are focused on understanding your needs and determining a solution to get those needs met. Stephen has been a part of the company for five years. He enjoys that every day is different and every sale there is something new and exciting that he gets to help being involved in. One aspect of the sign industry he appreciates, is being a part of a project from beginning to end and seeing a job well done. Stephen’s favorite part of working at Pinnacle is being able to work alongside his dog and best friend, Chongo. A memorable project he got to work on was a project for the Atlanta Hawks, where he saw how driven our team could be to meet a customer’s immediate need. When not directing sales he enjoys travelling with his wife and had fun meeting the Pope on his honeymoon. Stephen will soon be a daddy for the first time and will soon be keeping busy with his new daughter. 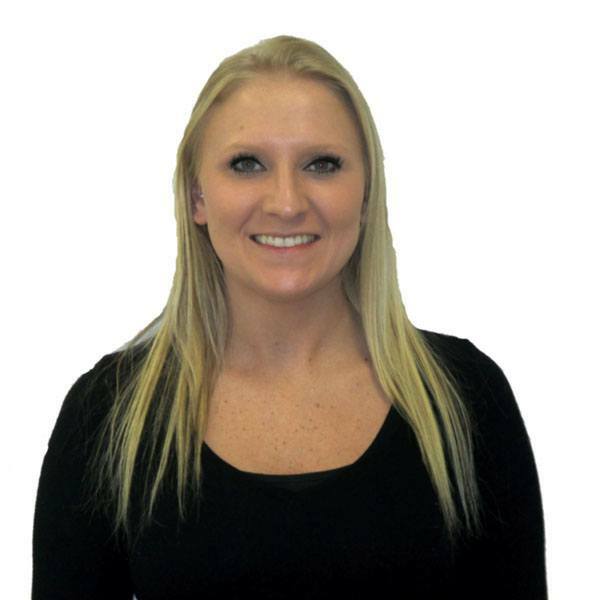 Misty began her career in the sign industry when she joined Pinnacle’s team 4 years ago. 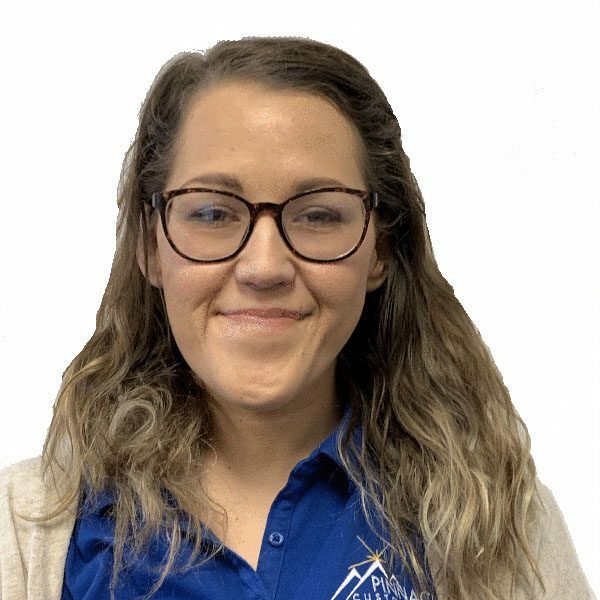 She started off as our administrative assistant and has worked her way up to Inside Sales and coordination of out-of-state installations. One her most memorable out of state jobs she has worked on, was coordinating the installation of wall murals for a Fitness 1440 gym in Norton, Massachusetts, that were a lot bigger than the average size,. 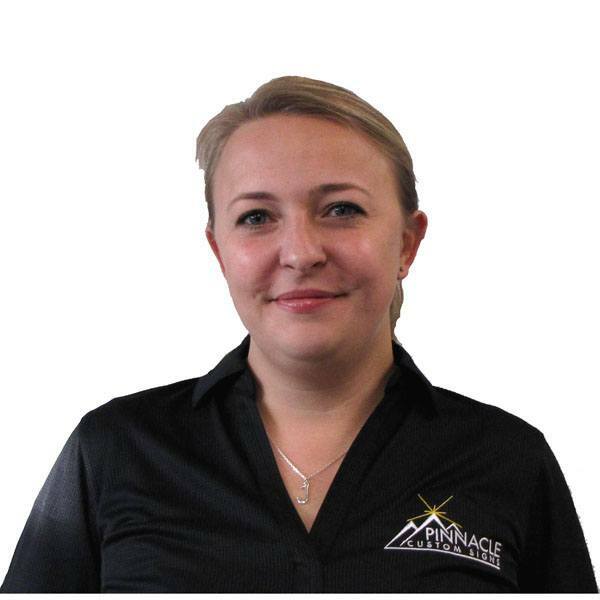 She enjoys challenging jobs and working alongside the team here at Pinnacle Custom Signs. Misty can be found spending time with her four wonderful daughters and husband at home when not at work. Jeannie has known the sign industry for about her whole life. She came to us here at Pinnacle from a family that is also in the sign business, and has been working in the industry for around 8 years. Jeannie works in sales and helps manage some of our bigger projects. She loves learning about all the new ways customers can show off their businesses or their hobbies through signs and graphics. Like recently, she enjoyed working on a board for a customer who wanted to display his Harry Potter collectable wands since she is also a Harry Potter fan. Jeannie enjoys cooking in the kitchen or playing video games and being with her family when she is not here at Pinnacle Custom Signs. 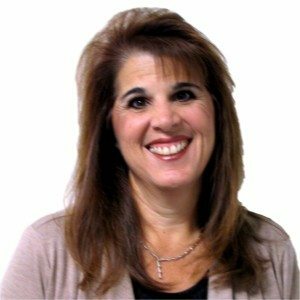 Joanne brings to Pinnacle thirteen years of experience in the sign industry, ranging from managing production of signs, designing the signs to handling projects. She is one of our in house designers and project managers and helps handle some of our biggest customers. Joanne enjoys working with others that have the same passion for signs as her and that the team here at Pinnacle always knows how to have fun while at work. She is great with working with customers and can ensure that she can bring their ideas to life. When she isn’t in the design room, she can be found with her husband, daughter and dog. With 16 years in the sign industry Josh brings us his expertise as one of our in house designers and brings an extra set of hands and positive attitude to some of our bigger installs, as well as managing a few of our bigger projects as well. Some of his favorite aspects of working here at Pinnacle is that he is able to see his completed creations outside of the office, and has the satisfaction of knowing that he helped design and create it. One of his most memorable creations is a job that was done for Georgia Public Broadcasting. Josh enjoys drawing and spending time at home with his wife, two kids and their dogs when he’s not at the office. While the Sales & Design team are the initial point of contact for our customers, the Operations team makes our solutions come to life. They are responsible for both producing and installing our products for our customers. 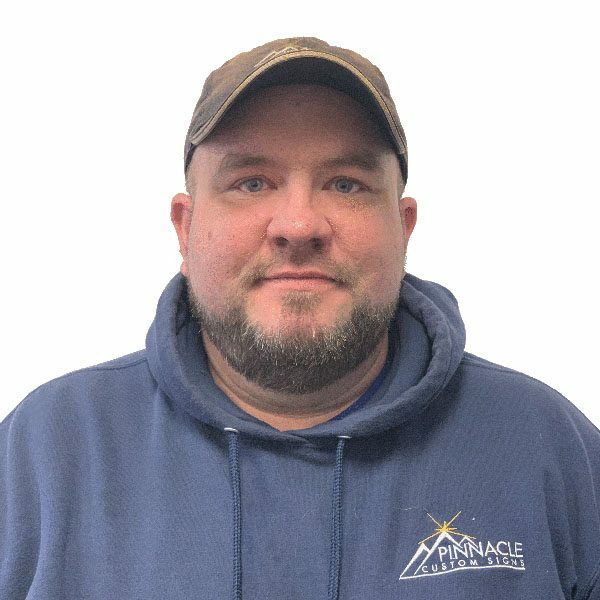 Matt was the first employee to join the Pinnacle Team when we opened our doors in 2011 and learned the sign industry from the ground up. Although he has a degree in Business Administration and has held various positions in the business world, he truly enjoys working with his hands and learning new techniques for making signs. 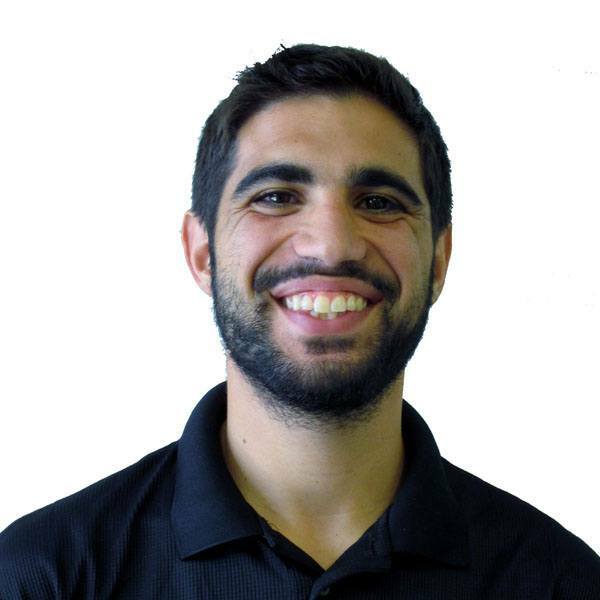 Now that he knows the ins-and-outs of making and installing signs, he leads our production and installation team. Matt brings freshness and innovation to a company that is constantly trying to stay ahead of the curve. He adapts quickly to new trends and is able to do business with any personality. Matt and his wife, Christy, live in Duluth and enjoy spending time with their sons, Noah and Charlie. 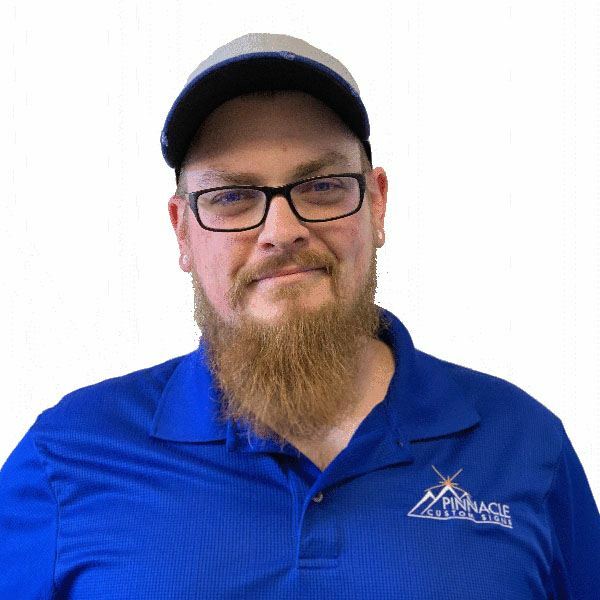 Trent is one of our installers and mainly works on our vehicle wraps and other vinyl installations here at Pinnacle. He came to us from the Seattle, Washington area and has 9 years of experience in the sign industry. He is enjoys the creativity that comes with the job, and that there is never really a job that is the same as the next one. One job that he remembers the most is when he and another teammate traveled out to Colorado to install wall murals for a gym that were oversized. Trent likes working at Pinnacle mostly because he likes that we are growing and the direction the company is heading. When not wrapping vehicles he is spending time with his girlfriend or is cheering on the Seattle Sea Hawks. 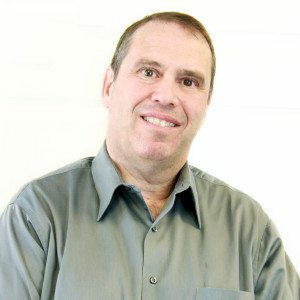 Derek comes to us with 23 years of experience in this industry and manages our production area. He enjoys creating things and using his hands at work. One thing he likes about working at Pinnacle is that he enjoys is working alongside a fun team. He also likes being able to create signs, including some of the finer detailed work needed to paint signs or cut out vinyl. Derek enjoys knowing that his hard work, when finished, can be seen while he drives around. One project he particularly remembers is a project for Ad Art that was interesting and challenging. Derek has several hobbies outside of work such as spending time with his friends and family, watching sports on TV or getting in on a fun game of poker. 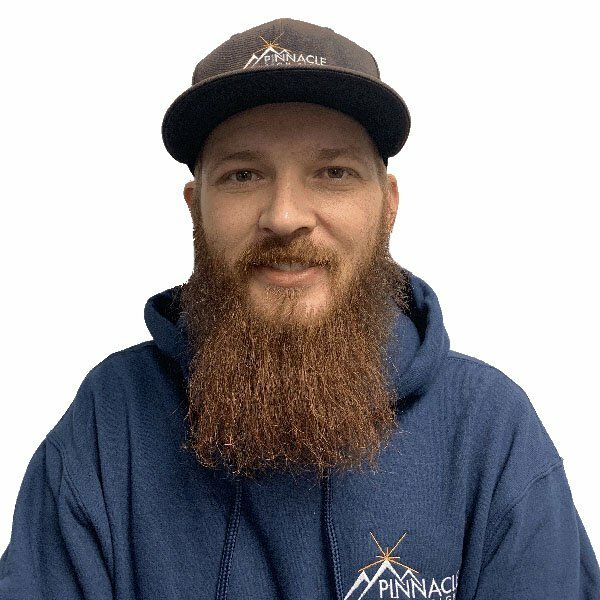 Bryan is one of Pinnacle’s installers and can often be found riding around town in our bucket truck, installing channel letters as well as other outdoor signs and has nine years in the sign industry. He enjoys that the sign industry brings it a different day and not the same tasks day after day. He has installed a multitude of different projects for us here at Pinnacle and remembers one of those installs was to help a high school hang up banners to show off some school pride. 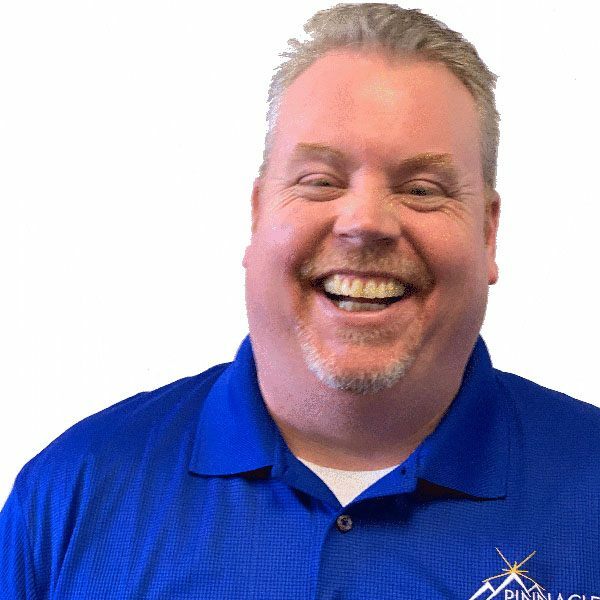 Brian enjoys spending time with his wife and three (soon to be four) children and playing games when he isn’t driving around installing signs for Pinnacle. 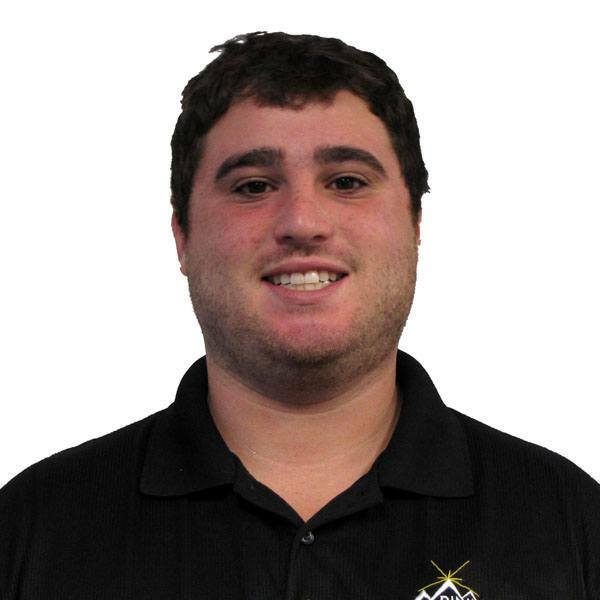 Jeremy has four years of sign industry experience and is one of our newest installers. He also likes to give a helping hand in the production area. 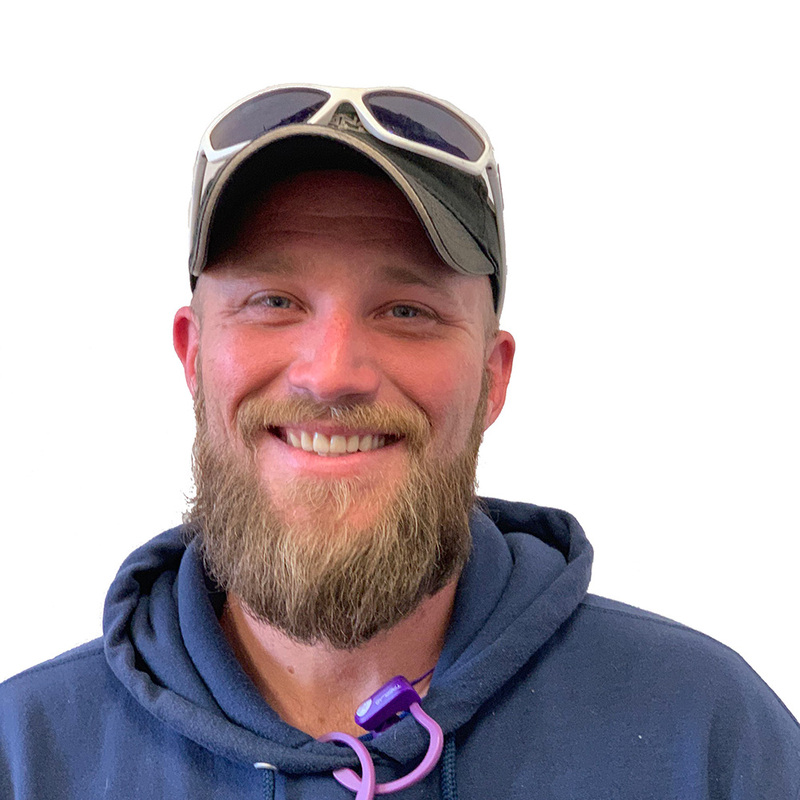 Jeremy likes that each sign he helps produce or install is different than the next and that we can offer a variety of signs to our customers. He enjoys that he is able to help businesses and other customers inform others with the signs he helps install. One project that he most enjoyed was helping Eastmont Cove’s homeowner’s association inform the community of who they were and the type of community they are. Jeremy enjoys playing with his kids, fixing up cars or doing a little construction during his free time. The glue that holds the team together, our administrative team is responsible for all the odds & ends around the office such as answering phones, greeting customers and paying the bills. 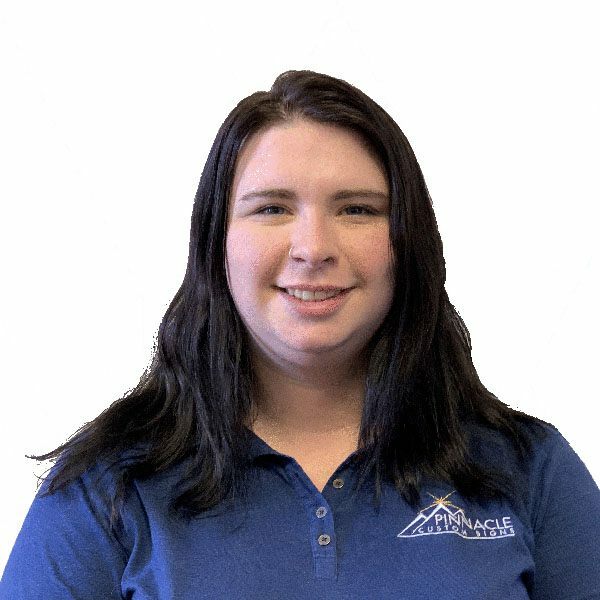 Natalie is our administrative assistant here at Pinnacle and helps by answering the phones, entering data in QuickBooks, tracking some of the company’s measurements and whatever other odds & ends we ask her to do. She enjoys being able to see a customer’s products come to life, as well as see the creativity that is involved with the process. At Pinnacle she is able to learn a lot as well as being able to meet new and interesting people. One memorable project for her is learning to produce “addendum covers” for car dealerships. These are used to adhere the prices of the dealer added extras to a new car. When she is not answering the phones she is with her friends or playing with her two nieces. Stephen’s dog, Chongo, joined the Pinnacle team full time in January of 2015. With all the extra space, we needed someone who could roam both inside in out. 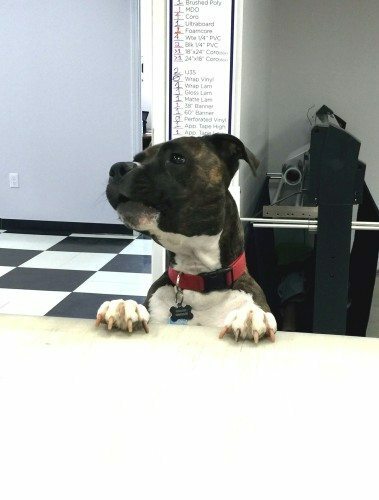 Chongo’s primary responsibilities include greeting customers as well as our delivery guys, playing tug of war with his heavy-duty rope (for anyone who is willing) and guarding Madame President (meaning his napping bed is in her office by the window so he can see who’s coming to visit). He also joins us at our daily production meetings on occasion as you can see in his picture. Chongo spends his spare time when not at the office sleeping, chasing cats, and barking at door bells.